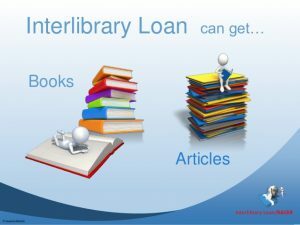 Every year OCLC (Online Computer Library Center), tabulates a list of the most interlibrary loaned (ILL) titles each year. Take a look at what happened in 2018. Girl Wash Your Face, which was #7 on their list, landed in the top ten of all of these lists. Surprisingly, Becoming, Michelle Obama’s autobiography, didn’t make their top ten list but was number one on all of the lists mentioned above. However, the book has been the most or second most requested title for the first three months of 2019. Another interesting list that OCLC looked at was Amazon’s 2018: This Year in Books, which lists the most sold books across all formats—Kindle, print, audiobooks, and subscriptions. The company breaks the list into fiction and non-fiction. The ILL request traffic on their system tracked this list pretty closely, with their top seven titles appearing on one of the lists. This year, for the first time, OCLC thought they would include the list of the top 2018 serials from which articles were requested. There’s a heavy bent towards medical journals, which is understandable given the need for the most current research information. It will be interesting to see what will be popular in 2019. Any predictions?